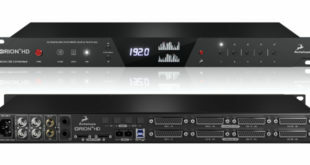 The new C Series is a high-definition series of point source speaker system designed and manufactured specifically for the Paris-based Théâtre National de Chaillot (Chaillot National Theater), which houses the most prestigious dance and theater companies from Europe and throughout the world, the C Series (‘C’ is a tribute to Chaillot) is Amadeus’ latest speaker innovation. The C Series comprises two different models, with plans for other models in a near future. The C12 is based on a 2-way point source transducer featuring a 12-inch woofer, and a 1.75-inch driver. The C15 is based on a 3-way point source transducer featuring a 15-inch woofer. The C 15 also features two neodymium diaphragm compression HF drivers, coaxially mounted with a single acoustical output, and coupled to an individual waveguide. Both models include a unique diffraction horn, each is specific and optimized to get a vertical dispersion of 60° and a horizontal dispersion of 90°, which can be inverted by rotating the system 90-degrees. This type of load ensures a perfectly uniform coverage and an excellent spectral quality throughout the whole listening area. Dreamed up by Jean Vilar, created by Georges Wilson in 1967 and named in homage to Firmin Gémier who created the Théâtre National Populaire, (People’s National Theater), the Firmin Gémier Hall has re-opened after 4-years of construction and renovations. Completely remodeled with a vast 180-square-meter floor space, a 390-seat retractable bench, and state-of-the-art technical equipment – featuring a dozen of the new specifically-created Amadeus C15 Series speakers among many other high-tech sound breakthroughs – Firmin Gémier Hall has become a flexible space, ideal for artistic creation, with an abundance of possibilities and inventiveness. “Given the very specific acoustical characteristics of the Firmin Gémier Hall, installing a conventional point-source system was not an option. 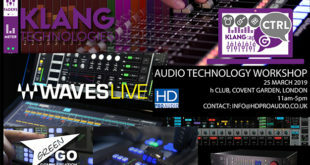 We tried testing several two-way ‘coaxial’ systems, most notably the PMX 15 speakers, already used in the Jean Vilar Hall. They also were not what we needed, due to their wide conical (H80° x V80°) directivity and the expansion shape of their waveguide,” said Marc Piera,sound department manager at Théâtre National de Chaillot. 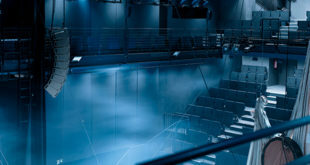 “Indeed, the very diverse types of events staged in the venue, the near-systematic use of multiple sources, sometimes immersive, coupled to a high level of natural hall reverberation meant it was necessary to resort to a system offering controlled directivity over a wide spectral band," continued Piera. 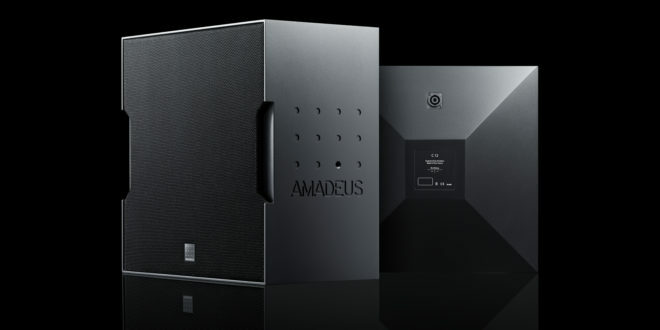 “Which is why we participated to the development of a new type of speakers designed by Amadeus, that features a tri-axial transducer (three ways mounted on the same axis), including two compression drivers inherited from the MHF section of the DIVA M2 array system,” added Piera. 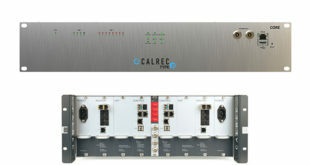 “The wide diffraction horn, optimized for a horizontal dispersion of 90° and a vertical dispersion of 60° allows for a control over directivity that extends to 800 Hz, a very high signal to noise ratio, and an optimized ‘reach’, compared to ordinary coaxial systems,” continues Deluc. “I fully believe this technology will find uses in the many theater venues presenting similar acoustical challenges, and also in cases where directivity control over a wide spectral band is necessary, without adverse effects on spatial information,” concludes Piera.